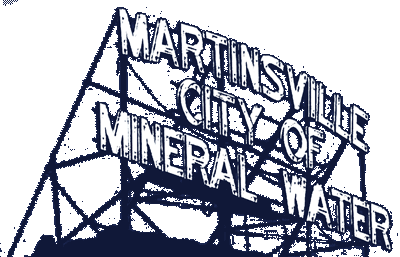 Mayor Shannon Kohl called the Martinsville Common Council to order on Monday, September 10 2018. Councilman Ben Merida led the Prayer to those in attendance. Mayor Kohl then led the attendees in the Pledge of Allegiance. A motion was made by Councilman Eric Bowlen to waive the reading of the minutes of September 20, 2018 and to accept the minutes as written. Councilman Chip Keller seconded the motion. The Motion passes 5-0. Mayor Kohl swore in her Youth Council during the Common Council Meeting. Mayor Kohl reported IU Health Morgan recently had volunteers that painted the City’s water hydrants. City Attorney Anne Cowgur gave kudos to the Martinsville Girls Golf Team for winning their tournament. Also to the Martinsville High School football team. The team is currently at 5-0 this season. Cowgur announced Mayor Kohl has been invited to the White House. AIM will pick up all costs. Mayor Kohl was chosen to represent female Mayors in Indiana. She will leave for Washington on Wednesday. Clerk-Treasurer Becky Tumey announced the 2019 Budget will be uploaded into Gateway on the 19th. Also, the following date changes were made: Public Hearing regarding the 2019 Budget will be October 9, 2018. The adoption of the Budget will occur on October 22, 2018. City Engineer Josh Messmer reported the striping of the streets in the downtown area will be completed this week. Also, 365 radio-read meters have been installed. Finally, the downtown sewer project has been awarded to Roberts Construction. Discussion of a Bed Bug Ordinance – Councilman Ben Merida led the discussion of the City’s potential problem with bed bugs. It was agreed that Merida with work with City Attorney Anne Cowgur on this issue. One of the provisions in the ordinance will required mattresses be placed in sealed bags before they can be disposed of. Ordinance 2018-1786 General Obligation Bond of 2018 – Gary Smith of Reedy Financial and Thomas Pitman of Barnes and Thornburg appeared to present the ordinance to the Council. Tonight is the first ready of the ordinance. A Public Hearing has been set for October 9, with adoption the same evening. City Attorney Anne Cowgur reported there is no current pending ordinances regarding Animal Control. It was noted there are several comments on Face Book that this is the case. It is anticipated there will be a big turn-out at the next Council meeting regrading this issue. A motion to accept the claims as reported was made by Councilman Eric Bowlen and seconded by Councilman Phil Deckard II. The Motion passes 5-0. There being no further business, Councilman Eric Bowlen made a motion to adjourn. This was seconded by Councilman Phil Deckard II. The Motion passes 5-0.